In their initial effort to end the Vietnam War, Richard Nixon and Henry Kissinger attempted to lever concessions from Hanoi at the negotiating table with military force and coercive diplomacy. They were not seeking military victory, which they did not believe was feasible. 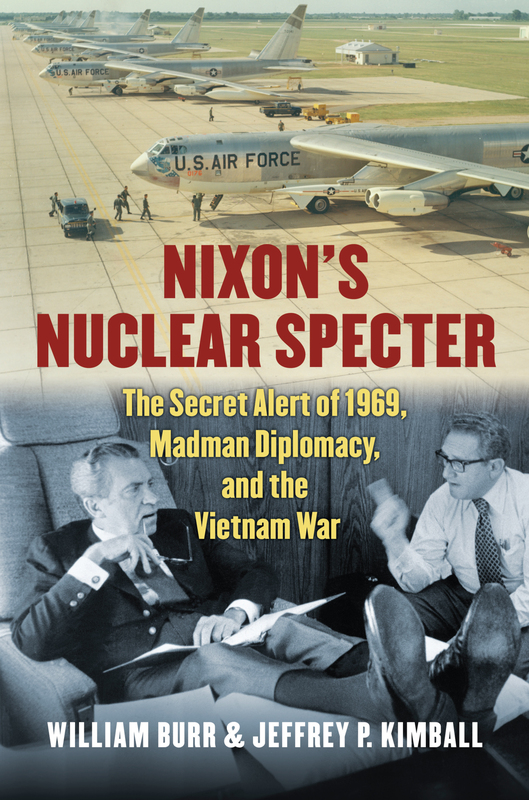 Instead, they backed up their diplomacy toward North Vietnam and the Soviet Union with the Madman Theory of threatening excessive force, which included the specter of nuclear force. They began with verbal threats then bombed North Vietnamese and Viet Cong base areas in Cambodia, signaling that there was more to come. As the bombing expanded, they launched a previously unknown mining ruse against Haiphong, stepped-up their warnings to Hanoi and Moscow, and initiated planning for a massive shock-and-awe military operation referred to within the White House inner circle as DUCK HOOK. Beyond the mining of North Vietnamese ports and selective bombing in and around Hanoi, the initial DUCK HOOK concept included proposals for tactical nuclear strikes against logistics targets and U.S. and South Vietnamese ground incursions into the North. In early October 1969, however, Nixon aborted planning for the long-contemplated operation. He had been influenced by Hanoi's defiance in the face of his dire threats and concerned about U.S. public reaction, antiwar protests, and internal administration dissent. In place of DUCK HOOK, Nixon and Kissinger launched a secret global nuclear alert in hopes that it would lend credibility to their prior warnings and perhaps even persuade Moscow to put pressure on Hanoi. It was to be a special reminder of how far President Nixon might go. The risky gambit failed to move the Soviets, but it marked a turning point in the administration's strategy for exiting Vietnam. Nixon and Kissinger became increasingly resigned to a long-route policy of providing Saigon with a decent chance of survival for a decent interval after a negotiated settlement and U.S. forces left Indochina. Burr and Kimball draw upon extensive research in participant interviews and declassified documents to unravel this intricate story of the October 1969 nuclear alert. They place it in the context of nuclear threat making and coercive diplomacy since 1945, the culture of the Bomb, intra-governmental dissent, domestic political pressures, the international nuclear taboo, and Vietnamese and Soviet actions and policies. It is a history that holds important lessons for the present and future about the risks and uncertainties of nuclear threat making. William Burr is senior analyst, National Security Archive, George Washington University. Jeffrey P. Kimball is professor of history, emeritus at Miami (OH) University. He is the author of The Vietnam War Files and Nixon’s Vietnam War, both published by Kansas.